The host Stemmi was wonderful. Little touches for example - she bought us pastries of a morning, and even made us jellies with fruit in. Very kind and wonderful host who spoilt us. Thoroughly recommend this property. Our stay ali Villa Katingo was just simply wonderful. 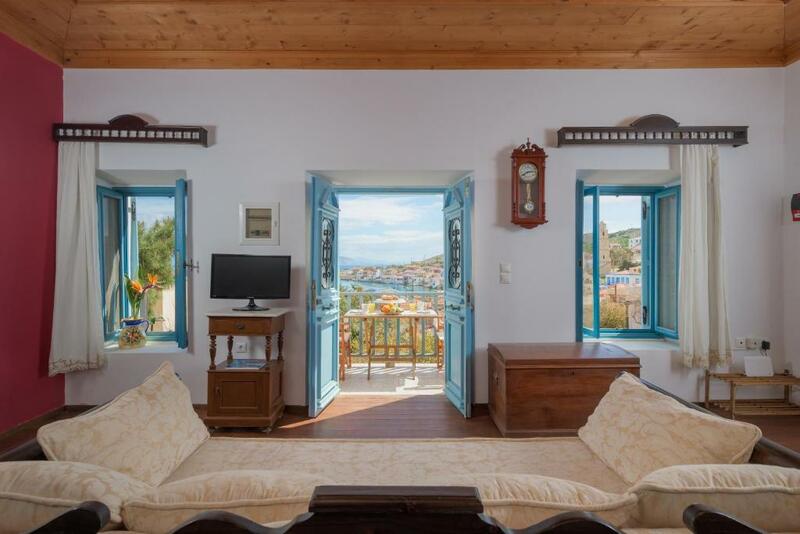 The villa has been beautifully and thoughtfully furnished, reflecting the heritage of the house and it’s location offers the most wonderful views over the harbour. The hosts were attentive, kind and informative, helping with our departure arrangements and advice for our onward stay in Rodos. I cannot recommend it highly enough and I was sad to leave. Amenities were comparable to an upscale hotel. French toiletries, hair dryer. Complinentary Coffee, tea, bottled water. Bed was extremely comfortable, beautiful handmade window coverings and bed canopy, traditional furniture, modern bath and kitchen. 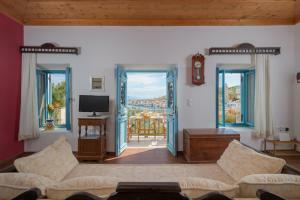 The location of the property was really good and also the view over the harbour was fantastic. 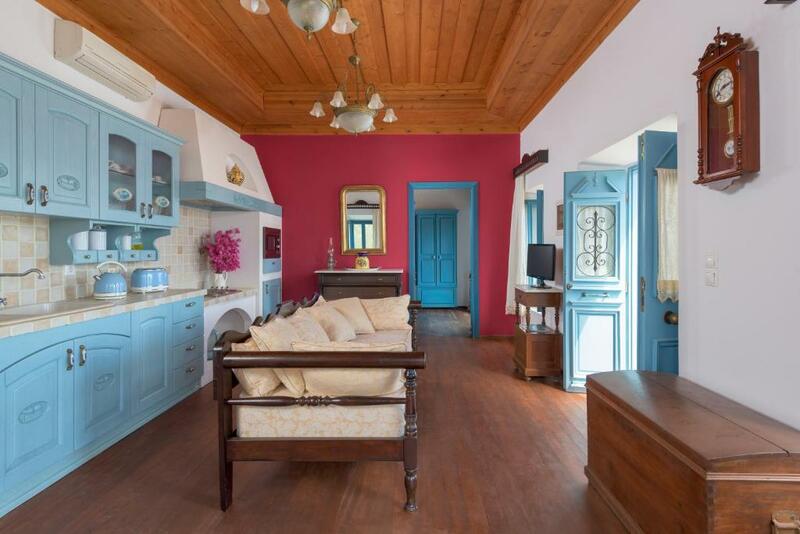 The property has fascinating design combining old and modern style & materials. Very cozy feeling with modern facilities. The property owners were really friendly and helpful. The apartment has very beautiful furniture and is very well equipped. The bathroom is really modern, the kitchen is big and the bed is very comfortable. The owner is very kind and helpful. The highlight for us was the view! From each window of the apartment as well as from the balcony (there are 2 by the way) you could see the sea and the harbour. We were really happy to stay in this apartment and would book it again! Villa Katingo is a lovely traditional old Greek house renovated to a high standard, and its situation allows for privacy despite being close to the village centre, with its tavernas, shop and bakery. 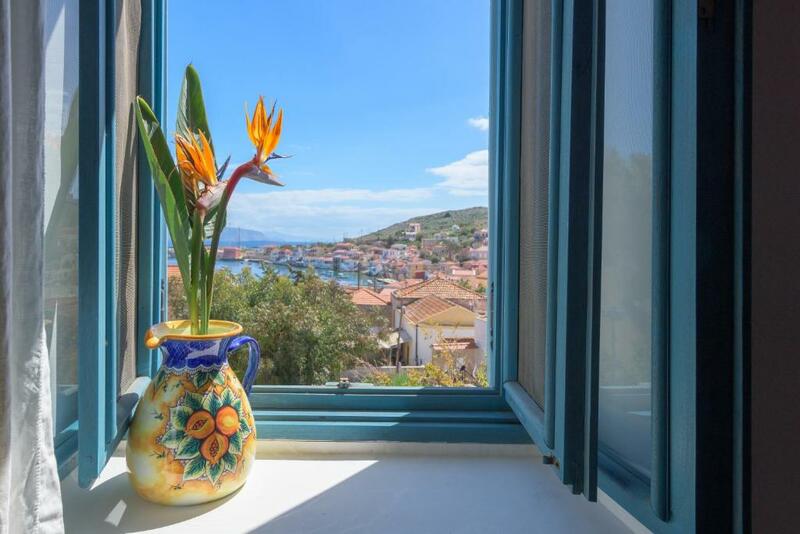 The view of the bay from the windows and balconies is amazing, we watched the boats coming and going each day, and lights on the water by night. The owner is very generous and helpful and provides genuine Greek hospitality. La propriétaire n'habite pas sur place mais nous n'avons eu aucun mal à récupérer les clefs. Lorsque nous lui avons dit que nous avions eu chaud la première nuit (la clim est dans la pièce principale et pas dans la chambre) elle nous a fait parvenir le jour même (par bateau de Rhodes!) un grand ventilateur. Bravo, excellent service. 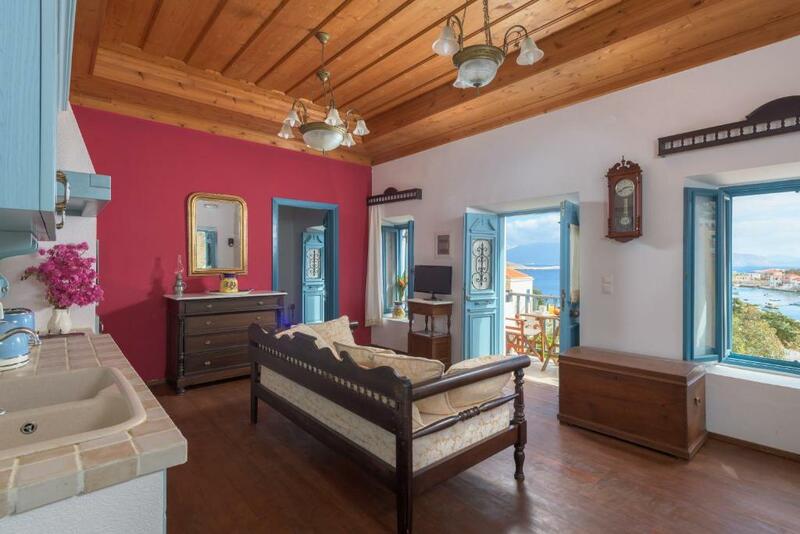 Très belles prestations (cuisine, salle de bains) dans cette maison (nous occupions le 1er étage) qui offre une vue magnifique sur Halki. 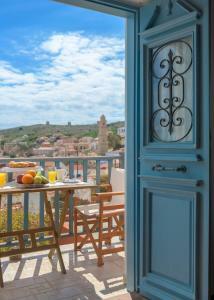 Pour info: maison à droite du Musée d'Halki. Lock in a great price for Villa Katingo – rated 9.3 by recent guests! 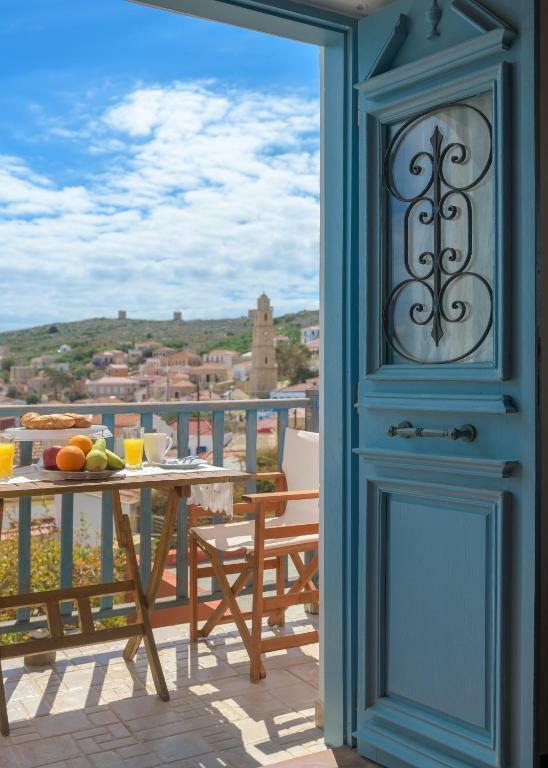 Located a 5-minute walk from Pondamos Beach in Halki, the family-run Villa Katingo offers traditionally decorated apartments with a balcony overlooking the scenic port. Restaurants and shops are just 650 feet away. 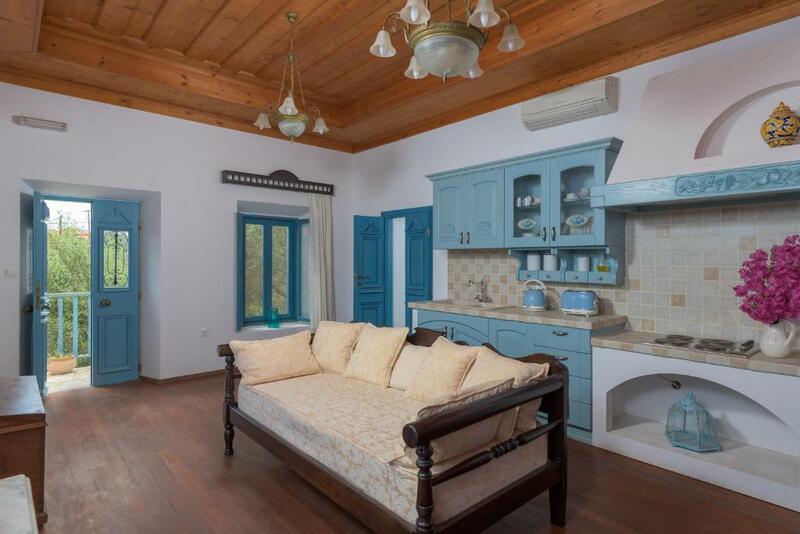 Featuring old-style lamps and four-poster beds, all apartments at the Villa Katingo offer a country-style kitchen with stove, fridge and dining area. Each is includes air conditioning and a seating area with a sofa. A private bathroom with wooden cabinets, toiletries and a hairdryer is included. 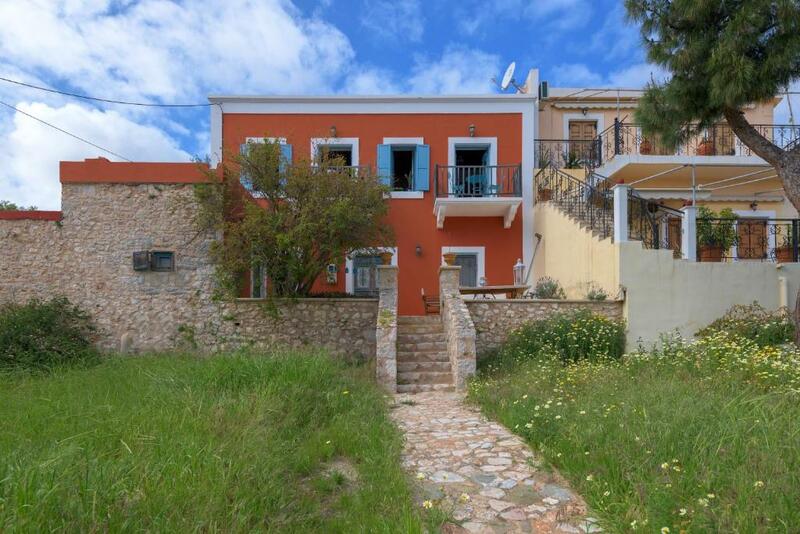 The colorful Dodecanese-style houses, the Medieval Castle of the Knights and the Folk Museum are some of the island’s attractions. 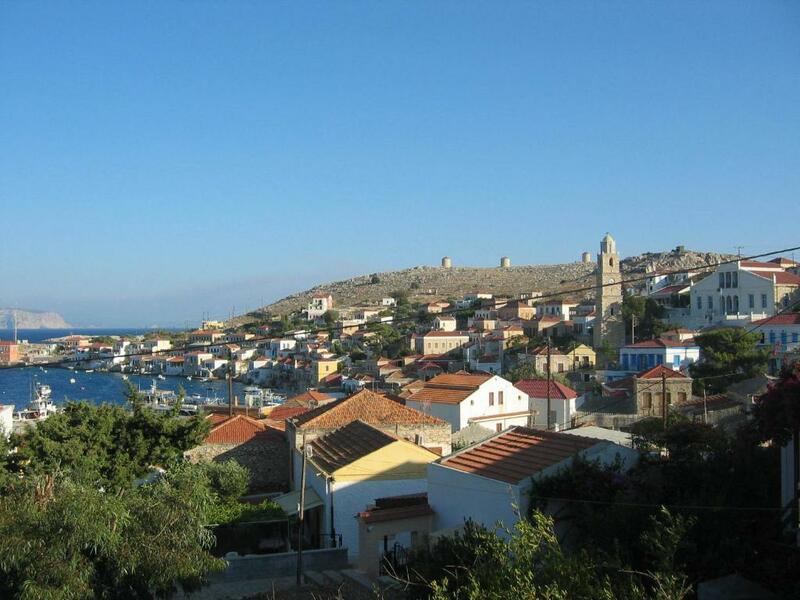 Ftenagia Beach is a 25-minute walk away. Free, private parking is provided on site and free WiFi is available throughout. When would you like to stay at Villa Katingo? House Rules Villa Katingo takes special requests – add in the next step! Villa Katingo accepts these cards and reserves the right to temporarily hold an amount prior to arrival. Please inform Villa Katingo of your expected arrival time in advance. You can use the Special Requests box when booking, or contact the property directly using the contact details in your confirmation. The steps and hills up to the property. There wasn't anything I didn't like. I couldn't find any lack of facilities. The villa is approached by steep stone steps, a straight flight of about 8 to the lower terrace and then another 16(? ) to the upper level which is the holiday accomodation, that's why the view is so good! They are safe but might be a problem for some visitors.